The best way to get your water for the day! If you follow me on snapchat, you know that I am a HUGE advocate about drinking water and hydrating yourself. It is a HUGE part of staying fit and healthy. Also, if you watch my snaps you will notice that I am always carrying around a water bottle that I refill multiple times a day. I hate having to spend a lot of money on new water bottles so I try to reuse mine as much as I can. When I started working out at my new gym, I fell in love with these amazing ezH2O bottle filling stations that were connected to the drinking fountains. You guys, they are a huge game changer! Many people, like myself, carry reusable water bottles with them these days and especially when they go to the gym, the airport, the park and even the office. 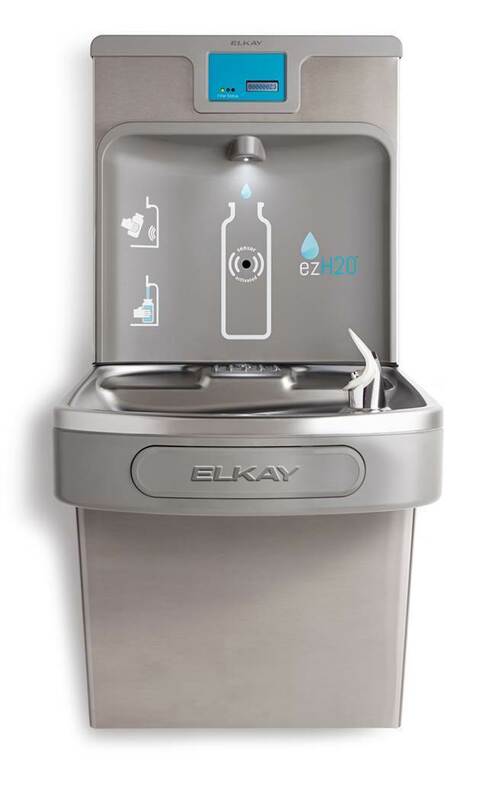 The Elkay ezH2O bottle filling station easily allows all of us to fill up our reusable water bottles in an efficient and hygienic way thanks to the hands-free and rapid filling technology. Oh, and one of the best parts in my opinion… it’s cold and tastes great! Which really is a big deal coming from a gal who used to live off of country well water and now has to get used to drinking gross city water. Let’s recap all the amazing attributes this had to offer, because I really am obsessed with them! Saves money (water is free) – Purchasing soda, juice, bottled water and other store-bought beverages can get expensive. Using a refillable water bottle is the easy way to save you and your family money. Limits waste from plastic water bottles or soda bottles – Using a reusable water bottle is an easy way to limit waste and lead a sustainable lifestyle. The use of reusable water bottles keeps plastic water bottles out of our environment. The bottle counter lets you know how many total bottles have been served from that particular bottle filling station. Healthy and “good for you” alternative – Drinking more water is the easy way to do the right thing for your health. Having accessible water sources available helps provide people with alternative choices to sugary sodas and juices. Hygienic – ezH2O units dispense water in a laminar flow, meaning that the water stream is absent of any water bubbles leaving no room for bacteria to enter the water stream. Plus, the electronic sensor provides hand-free sanitary operation with an automatic 20-second shut-off timer. The visual filter monitor gives users peace of mind that the water they are consuming is as clean as possible. Speed – The ezH2O bottle filling station fills bottles three times faster than a standard drinking fountain. SO SO GOOD – Some cold and great tasting. But really, there is water out there that doesn’t taste that great. This water really is so good. I wish my daughter’s school had ezH2O filler stations in her school! 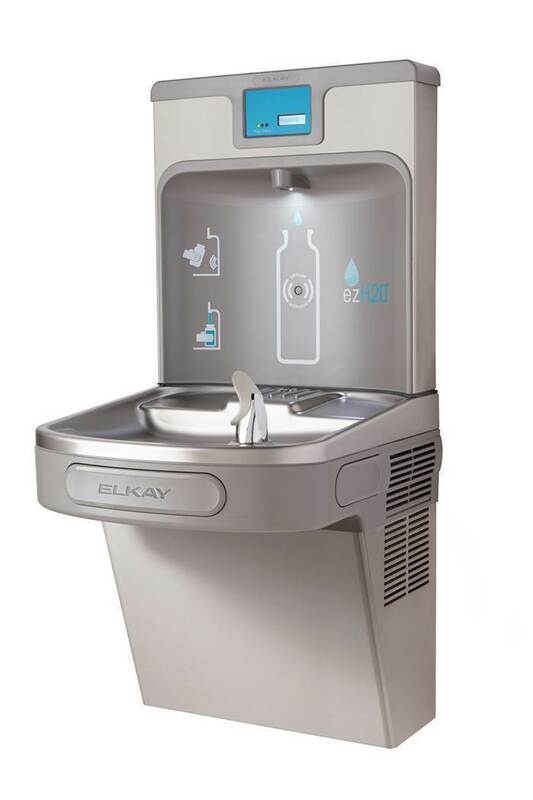 Did you know you can win a bottle filling station for your community?… Here’s HOW: Tweet #Water4Schools to @Elkay_USA to nominate your school for a chance to win a free ezH2O bottle filling station For K-12 schools only (one ezH2O unit donated per school district. A total of 10 bottle filling stations will be donated) I will definitely be tweeting them and try to win a filling station at my daughters school, how about you?